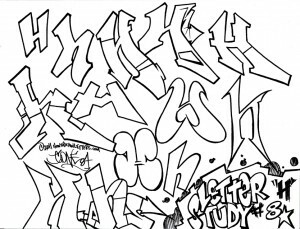 Letter Studies. 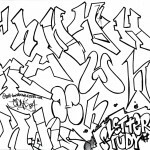 The letter H in graffiti style. Well, here we have the next letter in our collection of letter studies! “H” is a pretty simple letter in its construction, 3 lines no matter capital or lower case. There has to be a million ways to make this letter. Again, though, I broke it down into its simplest form for sake of study and instruction. There is good and bad to this letter for sure. TONS of places to go for style, but, at the same time, put those two legs together at the top and you have an “A”. Get a little too nutty on the right-hand serif of the lowercase version and you end up with a small “b”. Regardless, it’s a blast to experiment with this letter and well worth the practice!